348 pages | 33 B/W Illus. Edited by a professor at Harvard Medical School who has extensive experience in this field, this important and timely book presents a variety of perspectives on the organization of patient medical records around patient problems, presenting a more effective problem-oriented approach rather than the traditional data-oriented approach. 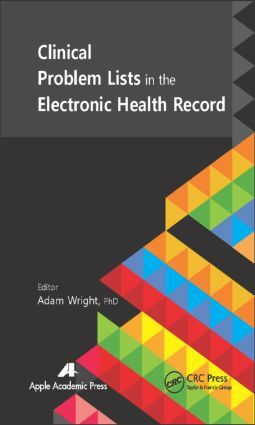 It is comprehensive, covering the history and importance of the electronic health record, the attitudes toward and use of problem lists, strategies to improve the problem list, and applications in practice of the problem list.